Lightsource BP has signed power purchase agreements with California's Sacramento Municipal Utility District (SMUD), one of the nation's largest municipal utilities, and with Continental Divide Electric Cooperative (CDEC), a member-owned distribution cooperative in New Mexico. 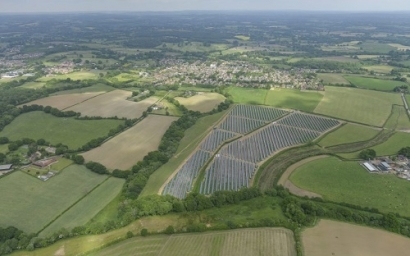 The PPAs, comprising 25 MW, will bring locally-generated solar photovoltaic power to the utilities' customers over 20+ year terms. "We're excited to deliver affordable local solar to our utility partners and their customers," said Katherine Ryzhaya, Lightsource BP's U.S. Chief Commercial Officer. "Our solar solutions will drive local economic development and job growth, increase utility customer satisfaction, and provide a cleaner, healthier environment for their communities." David Windle, BP head of solar energy, said, "The United States is an important market for renewables and for Lightsource BP, and this announcement demonstrates the real momentum we are building across the country." Wildflower Solar I, roughly 16 MW], will be located within SMUD's territory and will support SMUD's popular community solar program, SolarShares. Additionally, SMUD and Lightsource BP are currently exploring the addition of energy storage to the PV system. In New Mexico, Lightsource BP will develop and construct the project within CDEC's territory. The co-op will serve this clean energy to its members through its own distribution system. These projects, along with Lightsource BP's Mid-Kansas Electric Company solar development, serve as models for public power and cooperative utilities to gain more control of their power resources and serve their members with local, affordable, and clean energy.